Dunlopillo latex was invented in January 1929 by a Dunlop scientist, Mr EA Murphy, one of a group of research scientists working for Dunlop at Fort Dunlop in Birmingham. Registered in 1926 Dunlopillo was the first foam ever manufactured. The company's first mattress went on sale in the UK in 1931 and during the second world war Dunlopillo mattresses were only available with a medical certificate from a GP. After the war the sale of Dunlopillo latex foam mattresses and pillows increased significantly. 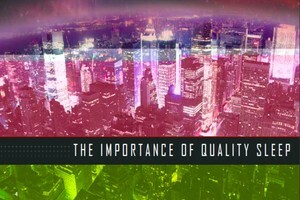 In 2002 Hilding Anders acquired the Dunlopillo brand in the UK and Ireland making it part of Europe’s leading bedding group, Hilding Anders which is the leading manufacturer of beds and mattresses in Europe, Russia and Asia. Dunlopillo latex pillows maintain their shape at all times and with a choice of deep or slim, you are sure to find the one that suits your sleeping position. With all the same benefits of a latex mattress, Dunlopillo Pillows provide instant pressure relief, hypo-allergenic qualities, an aerated interior to remain fresh and dry, and come with a very generous five-year guarantee. 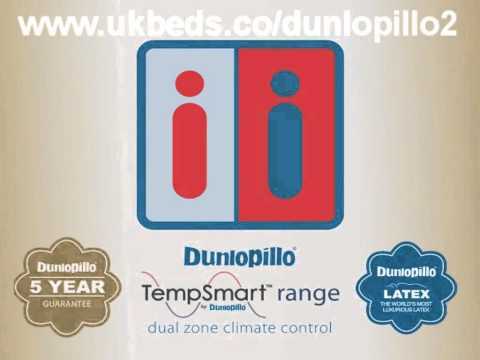 The Dunlopillo range includes its extensive selection of latex pillows, mattress and bed collection which is now available to buy at Dalzell's of Markethill. Dunlopillo pillows offer instant pressure relief, hypo-allergenic qualities, an aerated interior to remain fresh and dry, and come complete with a generous five year guarantee. Dunlopillo's new range of latex pillows benefit from a 100% cotton cover with piped edges and incorporate premium soft layered spiral fibre with a breathable Dunlopillo latex layer. The Dunlopillo Deep Comfort Latex Pillow is part of Dunlopillo's luxury collection of Latex Pillow and Bedding Accessories. This Deep Latex Covered Pillow benefits from a Luxurious Fibre Core Filling and White Cotton and Polyester Cover. Designed to Retain its Shape night after night, this Firm Support Pillow provides a comfortable and healthy night's sleep and has the added convenience of being Machine Washable. The Dunlopillo Latex Wrap Pillow benefits from a Premium Spiral Fibre Core Filling with an Outer Layer of Dunlopillo Latex (Wrap) and has a 100% White Cotton Cover for added luxury. Finished with Stylish Piped Edging to help the pillow retain its shape, Dunlopillo's Latex Pillows Mould to the Body's Contours, ensuring your head and neck are supported. The Dunlopillo 3D Airflow Mesh Pillow combines premium soft layered spiral fibre with a layer of breathable Dunlopillo latex and a 100% cotton cover for luxurious comfort. 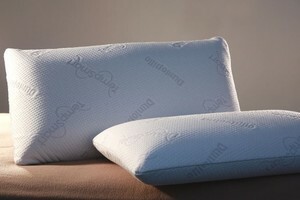 Finished with piped edging, this model also has mesh breathable panels on two sides of the pillow to allow air flow. As a retailer of some of the leading bedding specialists in the UK and Ireland including Dunlopillo Latex Pillows, visit Dalzell's of Markethill to view our great range of pillows and pillow protectors in store and online.